The burger at Bick’s is one of the finest in the area. The interior is NJ Diner from the 50-60’s with its four red and white booths and ten swivel bar stools overlooking the griddle. The base price of $6.95 rises quickly as you can choose from five cheeses ($1.25), eight sauces ($0.75), other toppings ($1.50) including three different varieties of onions, avocado, bacon olive tapenade, mushroom ragout or fireworks slaw, served on your choice of sesame, potato, house-made brioche or a truffle brioche. I ordered my traditional bacon cheeseburger with American and caramelized onions on a brioche with umami ketchup. With a choice of either regular French fries or sweet potato fries, I asked for half-half on the fries. The burger was outstanding. 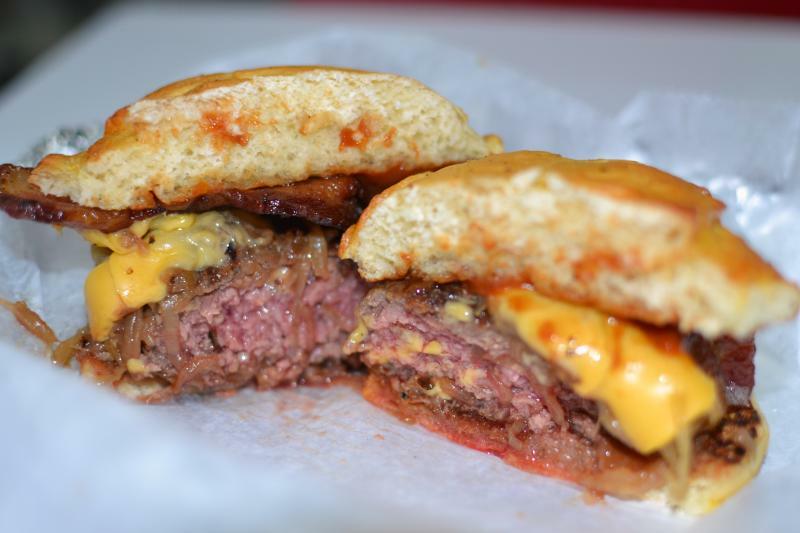 The meat delivered a deep, beefy flavor, the grind was loose and the patty was perfectly prepared with a char on the exterior and medium-rare on the interior. The onions were buttery soft and sweet, delicious, and the thick-cut bacon added just a touch of saltiness without overwhelming the meat. The cheese was melted and the brioche brought great buttery flavor in a soft and moist bun. 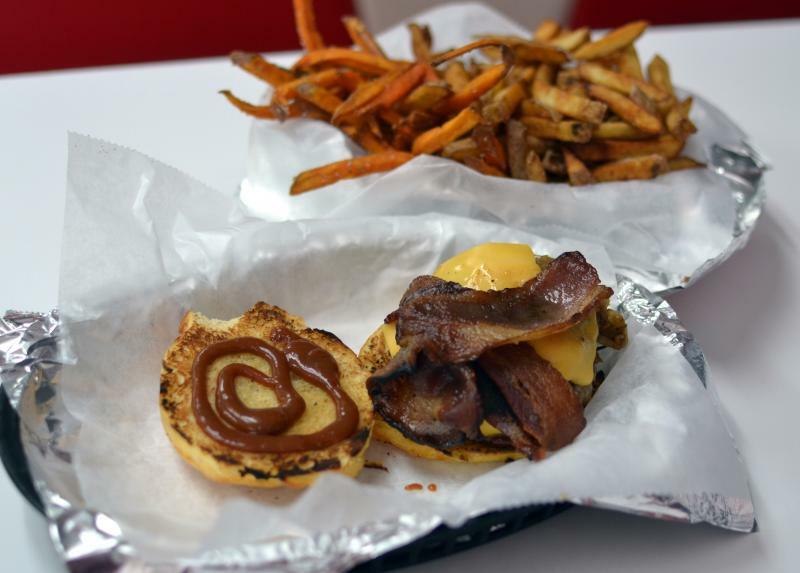 The umami ketchup delivered a wonderful earthiness to the burger. The French fries were hand-cut on the premises and were fantastic. They were crisp on the outside and soft and moist on the interior and the flavors were excellent. You do not need any ketchup to enjoy these fries. The sweet potato fries were very good, but compared to the regulars, well, I would order a full order of the regulars. If you want to add spice, order the Cactus ketchup, it has a great kick. 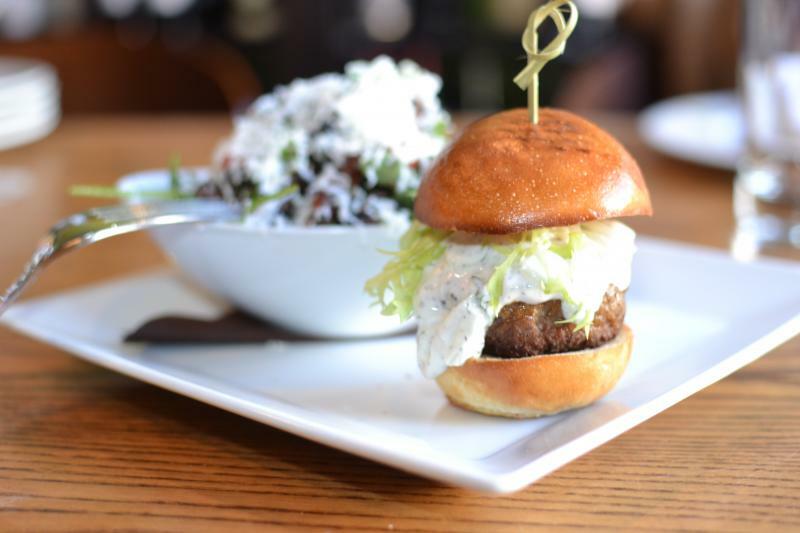 Bick’s is serving one outstanding burger. 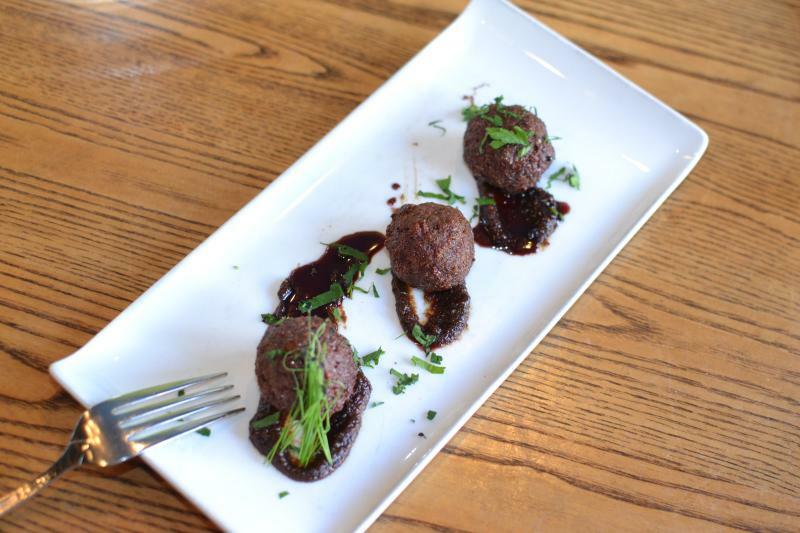 Barrique Bistro and Wine Bar opened several months ago in the location that formerly housed Jean Pierre restaurant and continues to offer incredibly delicious bistro fare, plus other southern European cuisine. The décor is relaxed and reminds you of dining in a bistro on the streets of Paris. The “Escargots” with garlic butter were encased in their shells, brimming with garlic butter, served with a traditional escargot holder and a small fork. Removing the escargot from the shell was difficult as the escargot were very deep within and I finally decided to cut the shell in half. Once removed, the escargot was beautifully prepared, mild in flavor and were complemented by the garlicky butter, which was not overpowering. This was a nice way to begin Le Diner. 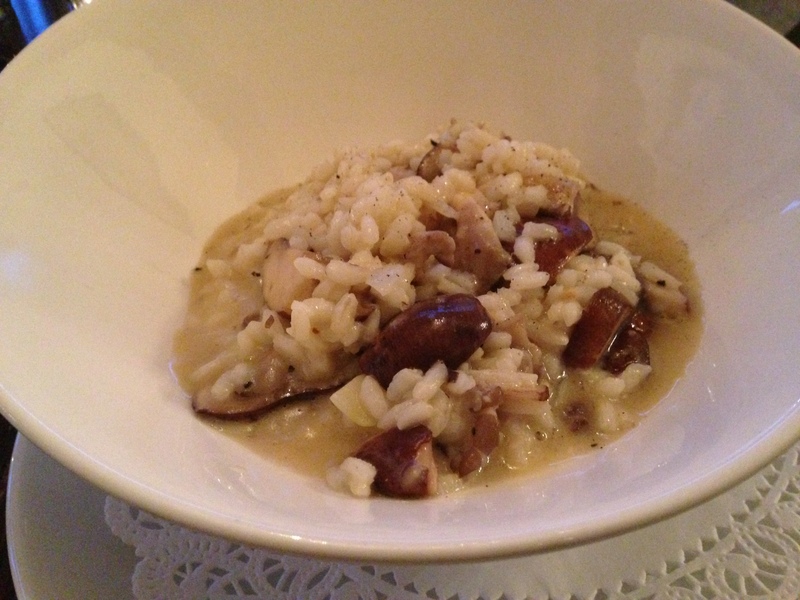 Another fantastic appetizer was the “Wild Mushroom Risotto” with white trufﬂe oil. The Arborio rice was perfectly prepared and maintained just a small amount of “bite” on the interior. There was a nice selection of mushrooms, including cremini and oyster that added earthiness, and the reduced stock was creamy and delivered a delicious complement to the rice. I highly recommend this dish. The roasted “Organic Chicken” was served atop a mélange of baby arugula, fingerling potatoes, cherry tomato, and finished with a drizzle of Balsamic. The chicken was crisp on the exterior and wonderfully moist on the interior. The sweet tomatoes offset the peppery arugula and the balsamic added a fantastic layer of additional flavor. This is a great roasted chicken. The “Organic Salmon” was a simple and pleasant rendition with artichokes, fingerling potatoes, carrots, and wild mushrooms. The large filet is more than enough for a hungry appetite and he accompanying ingredients made for a bright a delightful dish. The “Skirt Steak” was served with cipollini onions, wild mushrooms, charred asparagus, and finished with a Bordelaise sauce. The steak was a large portion (it filled the entire diameter of the dinner plate) was prepared to my requested medium-rare (another steak at the table ordered medium and serve very rare needed a re-fire). The steak was rich in flavor, and the Bordelaise sauce was delicious with the onions and mushrooms and the deep flavors of the meat were paired perfectly with the sweet onions. For dessert the “Crème Brulée” and the “Chocolate Mousse Cake” were both delightful. The Brulee was incredibly creamy, and the crisped thin sugar topping was the perfect proportion. The cake, from Matthew’s Bakery was outstanding. Thick layers of cake and a fair amount of filling were fantastic. Both of these desserts are highly recommended. 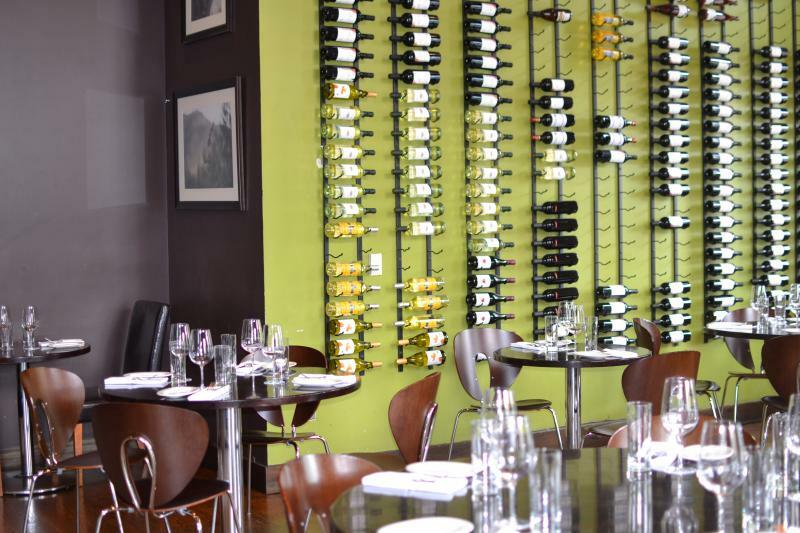 Overall Barrique Bistro and Wine Bar is a relaxing restaurant, offering delicious bistro cuisine. Bon Appetit. 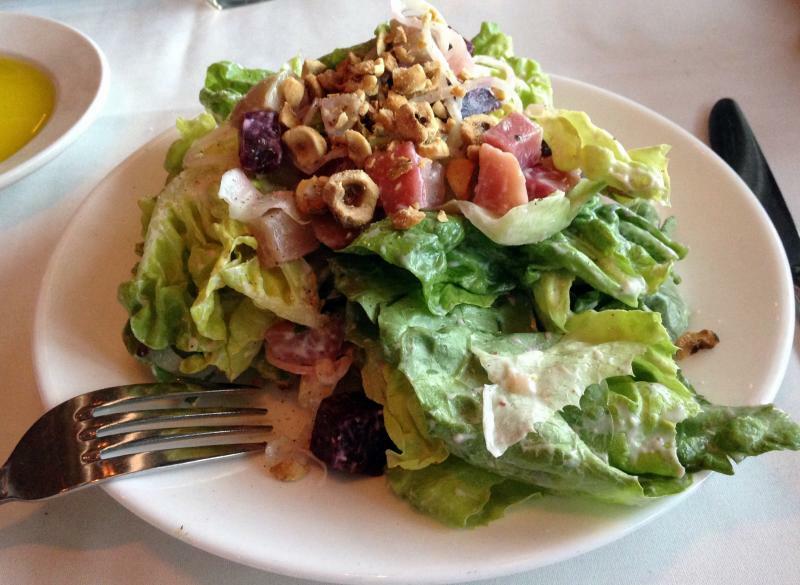 Located on South Grand Avenue just north of 48th Street La Fresca is the epitome of the local hidden gem. When you enter under the bright colored awning you will notice the long bar to the right and the dining area to the left. The glass enclosed kitchen is in the rear of the room. At 615 on a Wednesday night the restaurant was already two-thirds filled and by 645 there were few of the 35-40 seats remaining. 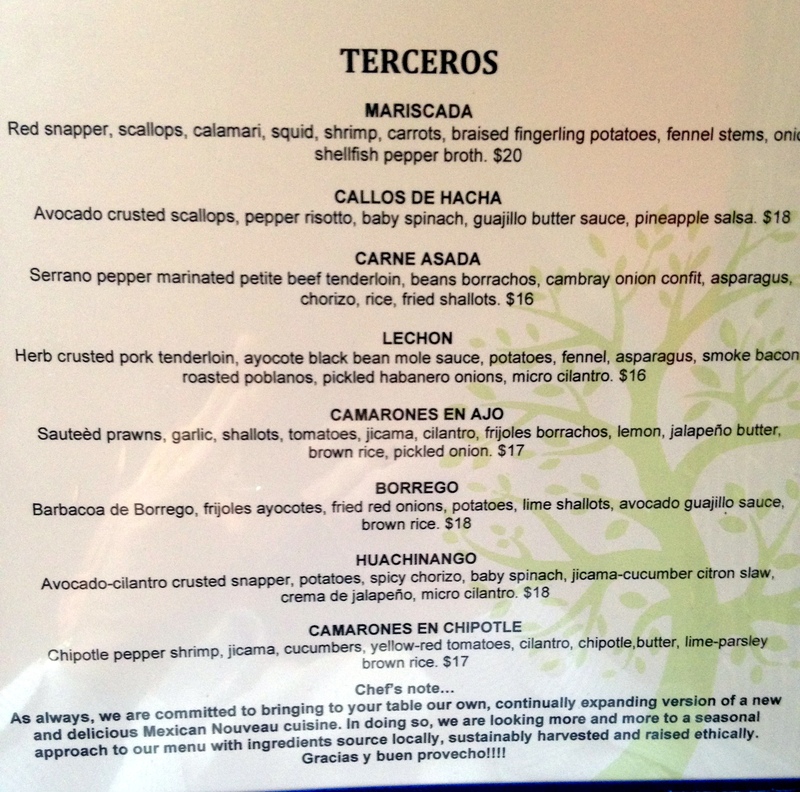 People now know that La Fresca is offering delicious food at reasonable prices. The dining room is bright with large watermelon prints adorning one wall, a Mexican Indian painting the rear wall and seated on shelves along the left wall are statues of wooden Mariachi bands including a few skeleton renditions. The space is bright and fun. I ordered the CEVICHE DE HUACHINANGO for my appetizer. The slightly cured snapper was accented with yellow tomatoes, lime, jalapeño peppers, jicama, sea salt, and finished with avocado mousse and ancho chili oil. The mixture sat on three purple-corn tortillas. I was not sure whether to lift the tortillas or try to cut with a knife and fork, so I did both. A quick bite was a little messy when the tortilla broke into a couple of pieces, so I moved to the knife and fork. This seemed out of place but worked well. The flavors were outstanding. 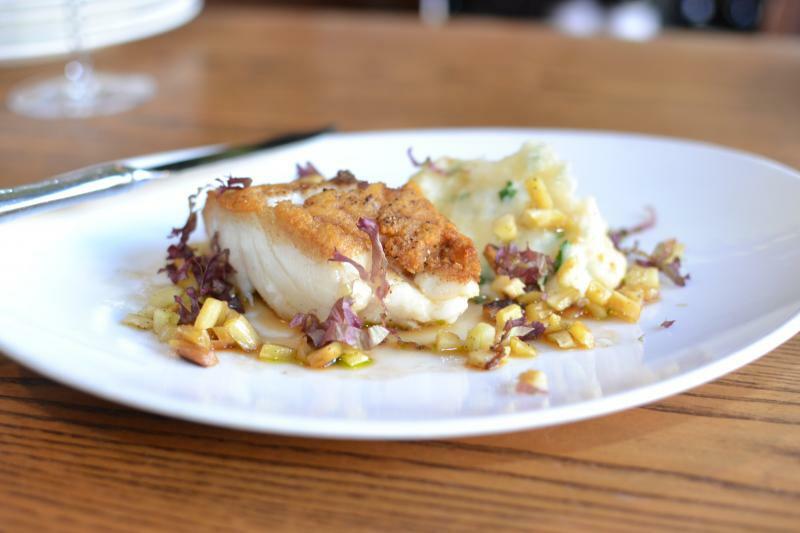 The snapper was lightly cured, maintained its mild flavor. 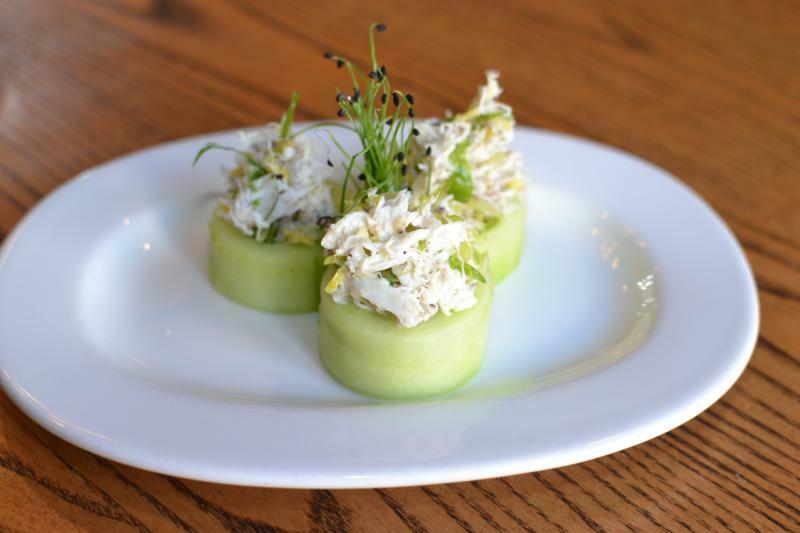 The other ingredients delivered balanced acidity and spice from the ancho chili oil, and the guacamole mousse on added a little creaminess and the cilantro added another flavor profile. For my entrée I decided on the LECHON, medallions of herb crusted pork tenderloin served over a combination of ayocote black bean mole sauce, fennel, potatoes, asparagus, smoked bacon, roasted poblano peppers, pickled habanero onions, and micro cilantro. 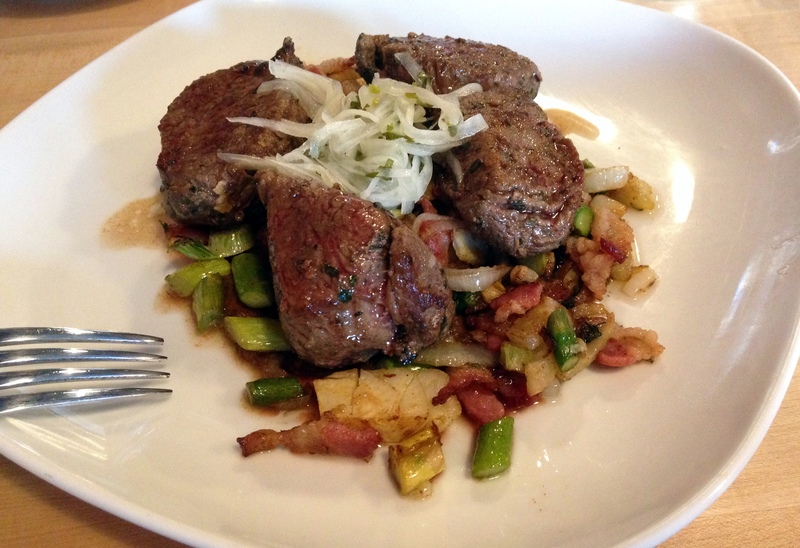 The four medallions were perfectly cooked to medium rare, just a touch of pink on the interior. The flavors of the vegetable mélange was outstanding, balanced between the salty bacon, a touch of heat from the peppers and the crunch of the asparagus. This was a fantastic dish. 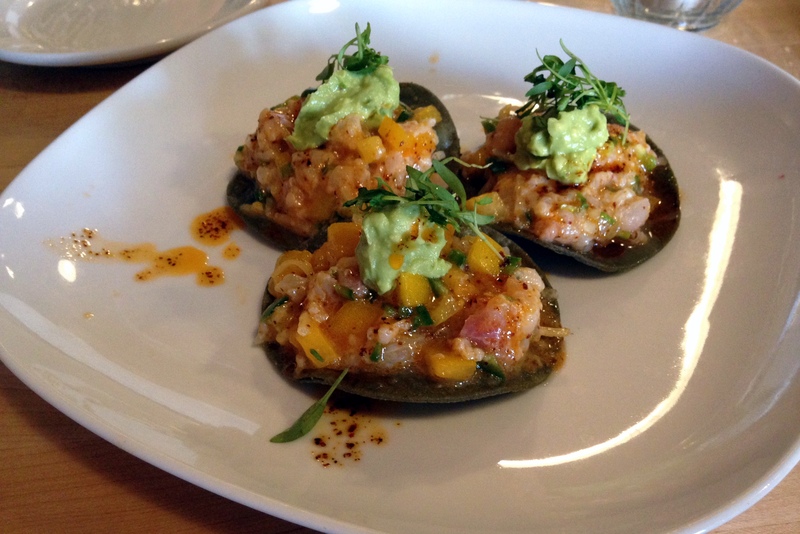 Overall, La Fresca is a great find, serving outstanding nouvelle Mexican cuisine in a relaxed and fun environment. 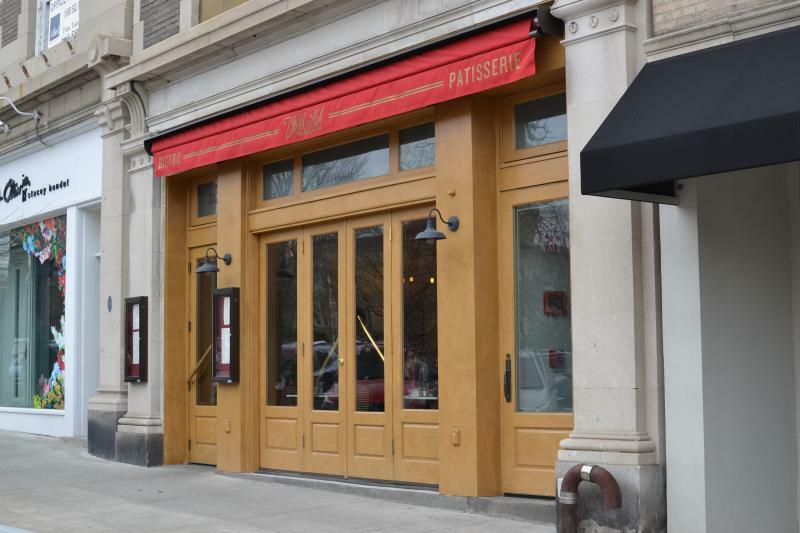 Cou[ d’Etat opened two months ago and is already serving delicious cuisine. 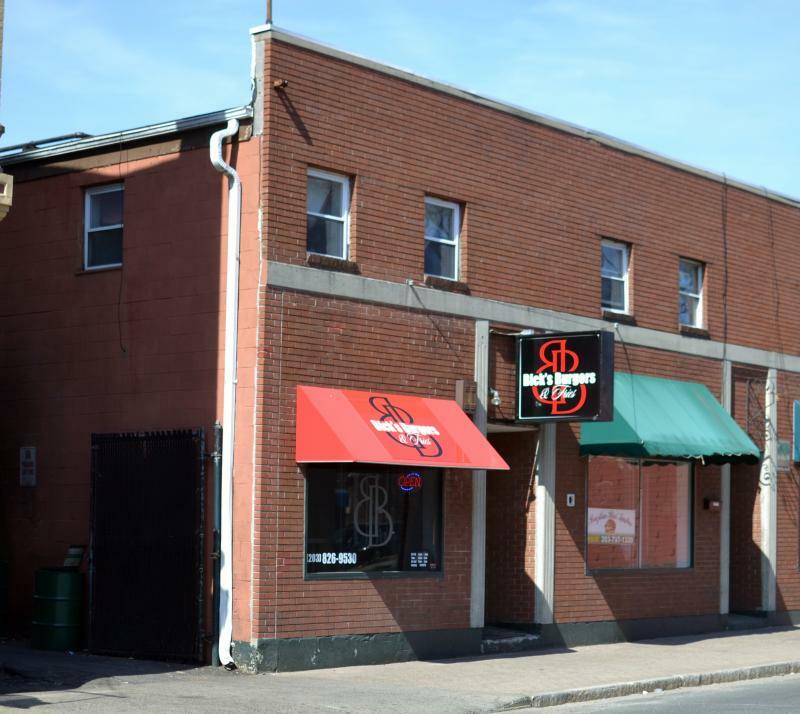 Located on the corner of Girard Avenue South and Lagoon Avenue across from the independent movie house, this newly reconstructed building offers numerous rooms, a hip and vibrant vibe, several bars and interior seating for about 200 people and when the weather warms, another 100+ guest can enjoy the cuisine al fresco. No expense was spared by the people that brought MSP Borough Restaurant in the design with tin bars, leather covered chairs, dark woods, several different chandeliers and an open stainless steel kitchen. Yet the prices on the menu and the quality and the size of the portions reflect a focus on high quality with reasonable prices. When I entered the restaurant at 600PM on a Monday evening the bar was already 50% full and for the next 45 minutes I noticed people arriving for dinner while others, mid-20’s, leaving for their next stops. 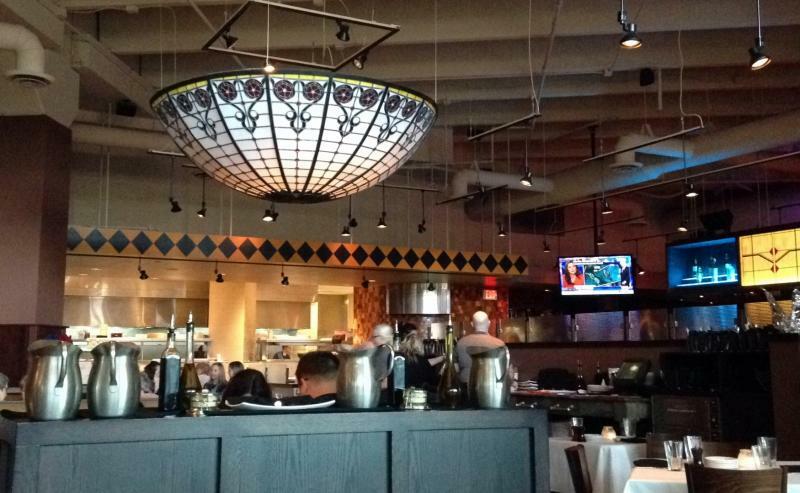 The restaurant is both an after-work meeting place for a quick drink and a dinner destination. The crowd on my visit was more 20’s and 30’s versus their parents and this created a very youthful, hip vibe to complement to décor. The opening room contains a large u-shaped bar that seats 24 surrounded by high tables along the windows for another 30, booths to the side for 50 another bar overlooking the kitchen in the rear for another 10 guests. 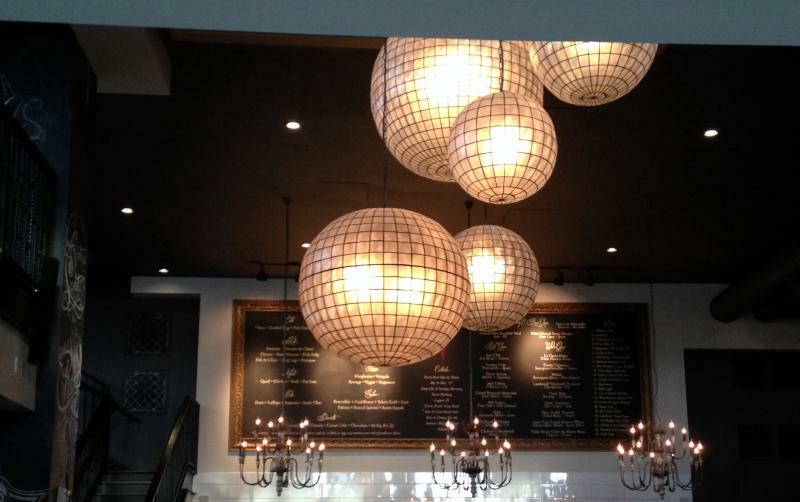 Eclectic chandeliers and soft globes light the main room. There is another huge room in the rear plus additional space on the second floor. The interior is massive. A large chalkboard hangs on the wall above the kitchen displaying the menu. The menu on their website is fairly accurate, although some ingredients may vary and some of the prices might be different but it will give a good indication of the cuisine. The server told me the chefs were all in their thirties, had some local experience. From the menu, it appears they tend to lean towards adding a spicy component to most of the dishes and are creative in blending various cuisines. 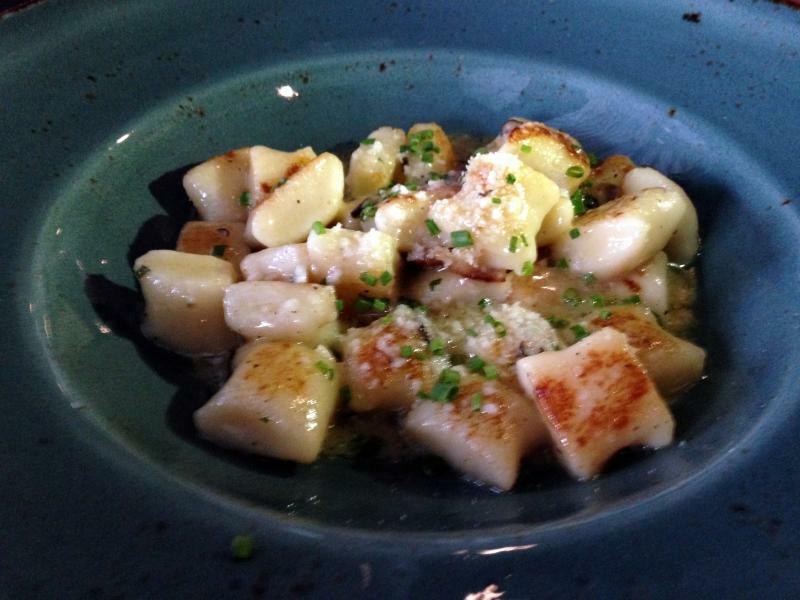 For a first course I ordered the “Gnocchi.” This mildly dense version delivered a good texture, but just missed great with just a tad on the gummy side. They were crisped on the exterior and nestled in a pool of brown butter that contained a good amount of garlic, and topped with chives, grated parmesan and the surprise ingredient, black truffles. I was skeptical about truffles in a $12 pasta dish, but they were there and added their delicious earthiness. The size was a little large for an appetizer and a little small for an entrée, but for the price the flavors, textures and presentation was fantastic. For an entrée I ordered the “Pork Osso bucco.” It is served with orange, fennel, fregola and turnips. 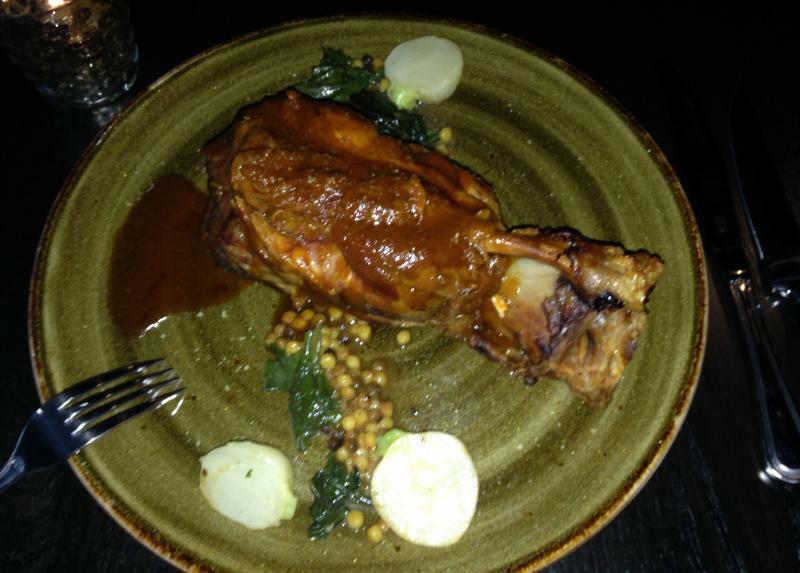 This would be better described as a pork shank on a menu as it was an enormous piece of meat. I asked for a sharp knife and the server gave me one but told me there should be no need for a sharp knife and she was correct. In fact there was no need for any knife as the meat was so tender and well roasted that it fell off the bone. The flavors were great with a good spiciness from “lots of pepper.” The orange gave a nice citrusy background to the meat but the fennel was non-existent. 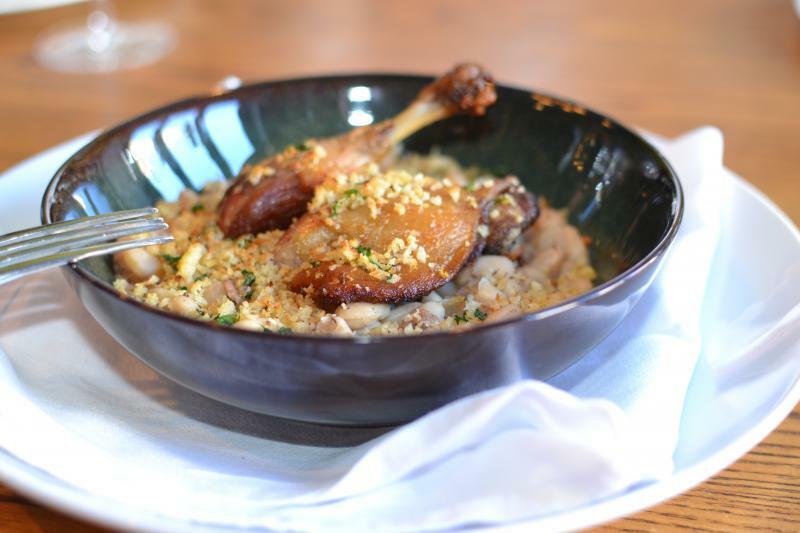 The fregola was delicious and I told the server the kitchen should add more to the plate since it was a meagerly portion given the size of the shank. The three halves of the turnip were sweet and delicious as well. I was looking for some textural contrast, the on-line menu states marcona almonds, and I think the chef should reconsider that or change the grain to one with a crunchy exterior. This was a fantastic shank, one of the best. And the service was even better than the meal. My server was spot on in every aspect of the meal. 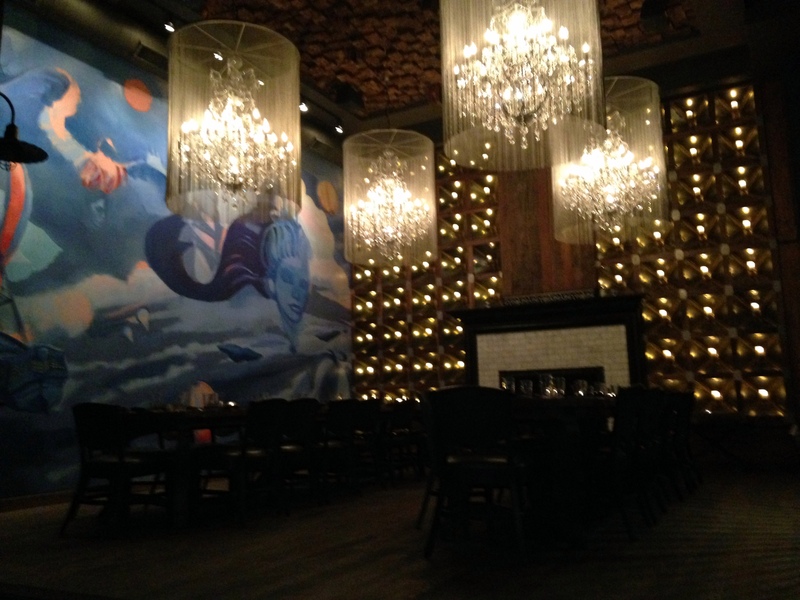 Overall this was one of the best meals I have enjoyed in Minneapolis and for the price and atmosphere this should definitely be a date night destination if anyone is thinking of dinner and a movie. After so many great meals in the Minneapolis area, I knew my luck would eventually run out. For some reason I changed my normal process of choosing a restaurant, did not check my normal sources and chose Figlio for dinner. As much as the décor was cool and hip, the atmosphere vibrant, the server energetic and the crowd streaming in, the food was the trifecta of unappetizing food. After being promptly seated, the server arrived, described the specials and guided me to less food than I thought I wanted to order. The server brought over a basket of bread, four baguette slices that were slightly warmed and the server placed some olive oil and a few drops of balsamic vinegar on the plate. It is important to eat the bread while it is warm as when it cools, it hardens quickly and approaches unappetizing. My appetizer, the “Beet Salad” is described on the menu to include butter lettuce, hazelnut, pickled shallots with sour cream and horseradish vinaigrette. This was like no other beet salad I have ever seen, it was a mound of butter lettuce with the others ingredients on top, and the beets were cubes of several varieties tossed with the other ingredients. The beets ranged from sweet to tasteless to bitter, the shallots were overly pungent, not really pickled, the lettuce was bitter and the vinaigrette overwhelmed all the other flavors. The hazelnuts were completely lost. There was not one ingredient other than a few cubes of the light colored beets that were tasty. Each of the components was unappealing and together they were borderline inedible. I had a few bites and pushed aside. 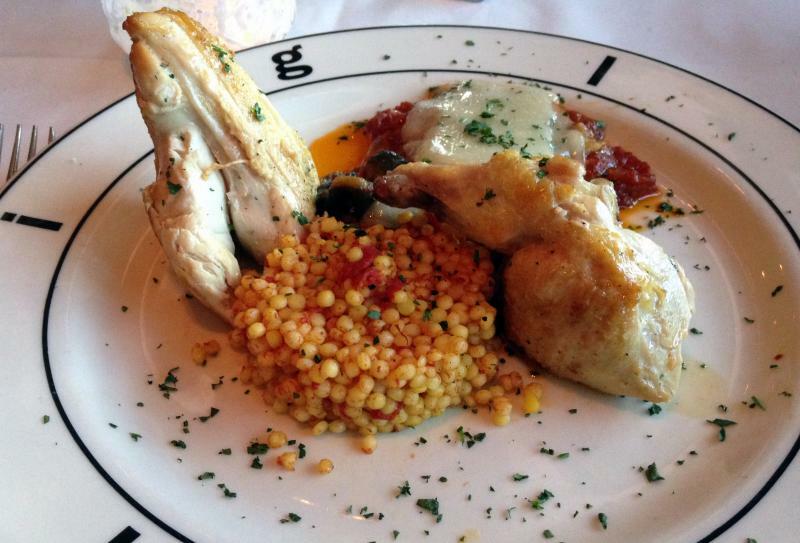 The oven “Roasted Chicken” was served with roasted eggplant, tomato jam, Israeli couscous, samfaina, and fresh herbs. 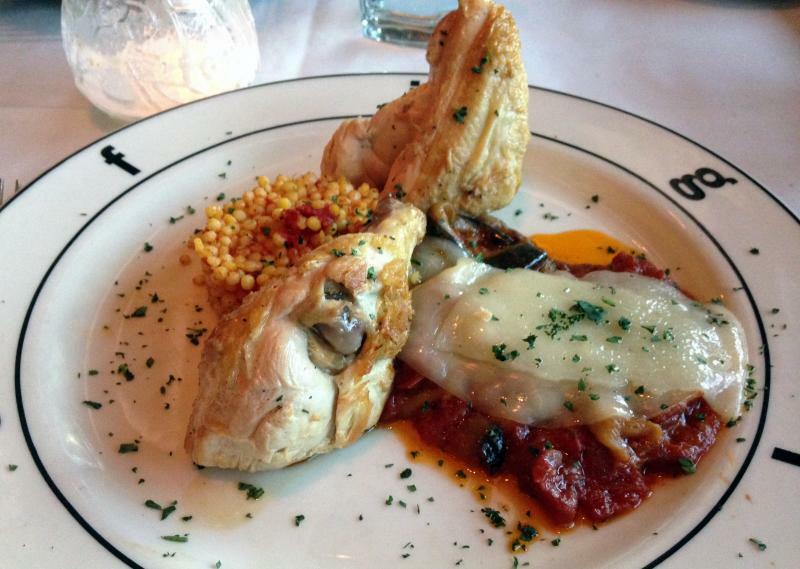 The roasted chicken was a single chicken breast, cut in half to give the appearance of a half a chicken. It was vastly overcooked and dry, and the exposed meat was even drier than the interior, probably from over roasting compounded by sitting under the heat lamps after being cut in half. The skin was flaccid and lacked any crispness, how the kitchen accomplished this is a mystery. It was completely inedible. The couscous was cooked to the proper doneness but it was cool when served. The samfaina was covered with two slices of melted supermarket quality cheese, without any rhyme or reason. After two bites of the chicken and one bite of each of the accompaniments, it was time to move on. I sent it back. 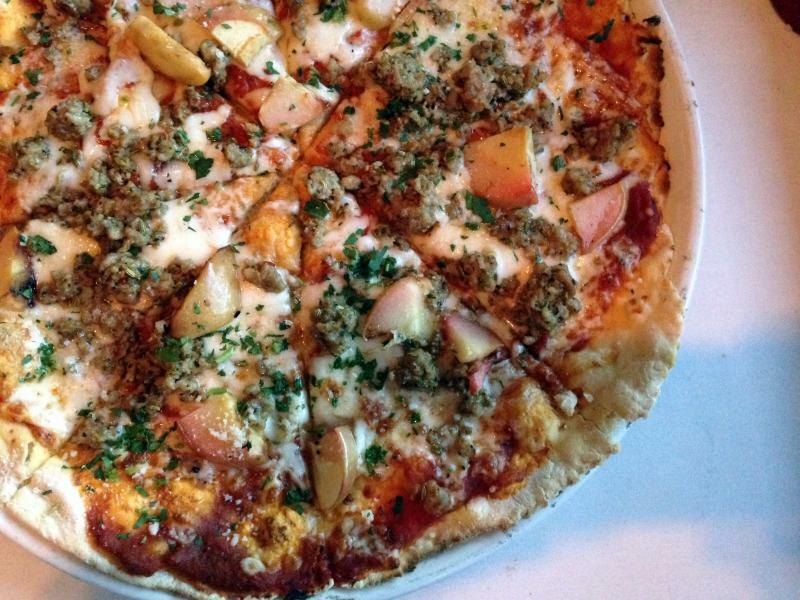 The server suggested the pizza and I reluctantly chose the “Sausage” with fennel sausage, grilled apple, rosemary, mozzarella, and tomato sauce. The crust was very a thin cracker crust and the toppings were very generous. The crust was horrible and tasted like flour and water. As much as I saw some fennel seeds, there was very little fennel flavor in the sausage, the cheese was tasteless and the apples did nothing to the overall composition. But a bite of the pie surprisingly delivered an overwhelming mouthful of pepper…none of the ingredients could be tasted through the abundance of pepper. I felt embarrassed not eating at least a few slices, so I suffered through this affront to pizza. 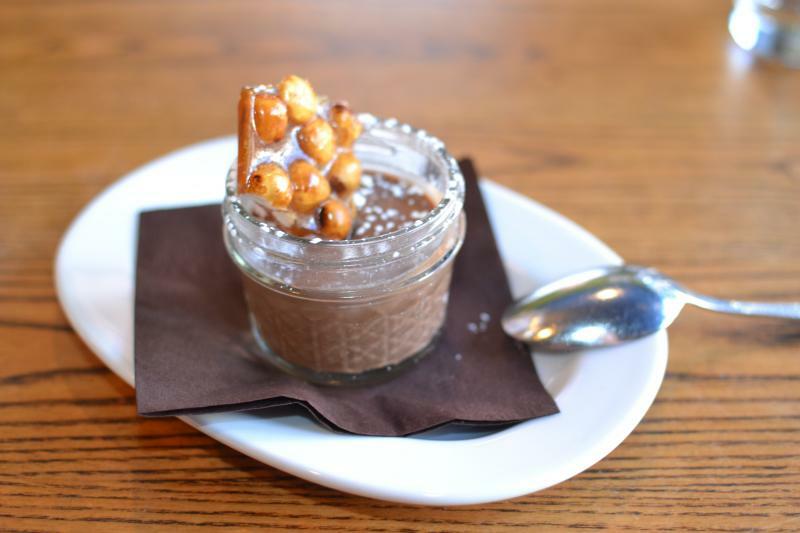 As much as the server was pleasant and informative, sometimes overly, and offered dessert “on the house” I declined and decided to cut my losses and head out. 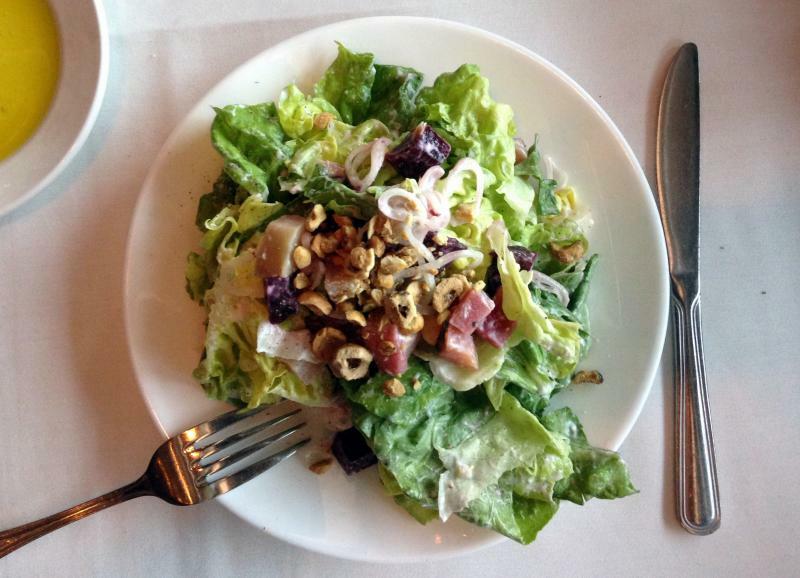 Other than the physical plant and the overly eager staff, Figlio was a complete culinary disappointment.